As the current market stands, electric toothbrushes are dominated by a few major companies that can charge whatever they want for an oscillating brushing utensil without many subsititutes. Employing the razor blade model that cuts into your wallet, you are charged an exorbitant amount for replacing the brush heads. The alternative to this broken system is newly launched Goby. With Goby, you are able to clean your teeth with a more affordable brush and a service that sends you fresh brush heads at the interval of your choice similar to the Harry’s model. AlleyWatch spoke with founder and CEO Ben Goldberg about the newly launched startup and its most recent round of funding. 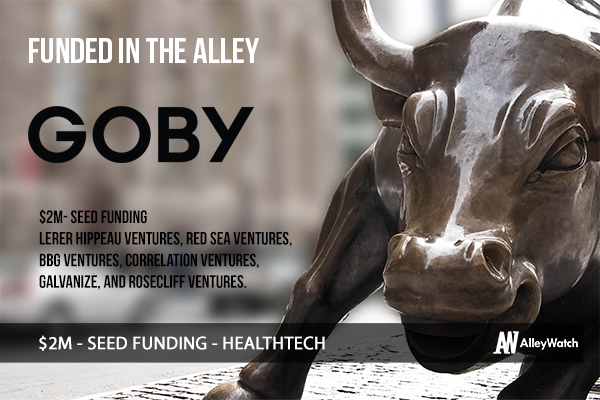 Goby raised a $2 million seed round and is funded by Lerer Hippeau Ventures (Casper, Glossier, Warby Parker), Red Sea Ventures, BBG Ventures, Correlation Ventures, Galvanize, and Rosecliff Ventures. Goby is a new vertical commerce brand disrupting the oral care market by creating the first ever direct-to-consumer rechargeable electric toothbrush combined with unparalleled convenience and unmatched customer experience, all at a fraction of the price of the competition. Beyond bringing unprecedented value and design, Goby is actually building a relationship with its customer and introducing a brand that is relatable and fresh into the stale oral care category. Goby was born out of my frustration with over-priced and unnecessarily complicated dental care products. After leaving my finance job behind, I decided to travel through South America, where I witnessed firsthand the lack of access to oral care in developing countries. Discovering the void within the market, I decided to tackle both issues head on when I returned to New York City. I developed Goby, offering a well designed, simplified, affordable brand that customers could relate to. We also partnered with NYU College of Dentistry Global Student Outreach Program to donate a percentage of sales to provide oral care to the underserved both domestically and abroad. Today’s electric toothbrush market, dominated by two large incumbents, is littered with overpriced products and a frustration-filled customer experience. Goby is the first-ever direct-to-consumer rechargeable electric toothbrush that offers a premium product, tremendous value and unprecedented convenience. Consumers who spend the money on a rechargeable electric toothbrush are then met with the egregious price of replacement brush heads, the confusion associated with timely replacements and the array of brush head offerings. Consumers who historically needed to spend $100+ on an electric toothbrush and $10-$15 for replacement heads, will spend half that on a Goby brush kit and replacement heads. Our brush has a dentist recommended two-minute timer with four, 30-second intervals to guide your brushing through the four quadrants of the mouth. We also have a built-in indicator to let you know when it is time to replace your brush head. We created a modular brush stand with a removable hygienic drip tray, a premium battery to increase run time and a patent-pending charging system with a removable USB charging shell. At a basic level, there are two types of toothbrushes: those that require users to do the brushing, making them more error-prone; and those that do the brushing for you, making them more error-proof. Goby falls into the latter camp — all you have to do is guide it along and it cleans up everything in its path. Today, we are going directly after the toothbrush market, a >$2 billion market in the US alone. In addition, we’ll be introducing new products over the next couple of months, targeting the broader oral care market, a >$7 billion market in the US. It is also worth noting, within the toothbrush market, the only market that experienced growth over the last couple of years is the electric toothbrush market, while manual toothbrush growth has stayed flat and the replaceable battery market has been declining over the last couple of years. We are vertically integrated, digitally native, ecommerce brand. We launched with our first product, the Goby Electric Toothbrush. We offer the Goby Brush Kit a la carte or with a subscription. With a Goby subscription, you never have to worry about replacing your worn out brush heads, we send you new ones automatically. What would you like to tell all the manual toothbrush users out there? While it’s possible to get a great clean from a manual brush, Goby offers a solution to the various inefficiencies of a standard manual toothbrush, including difficulties in brushing efficiently and for the recommended length of time. Goby’s electric toothbrush features a head with rotationally oscillating technology, which is proven to be the most effective at cleaning teeth. Goby’s brush does the work for you, featuring a dentist recommended two-minute timer to ensure that you are brushing for the recommended length and a built-in indicator to let you know when it is time to replace the brush head. We use the best materials, from the soft-touch handle to our carefully polished bristles, to ensure a smooth and thorough clean. The funding process was certainly not easy by any stretch. We had been working on Goby for nearly two years, bootstrapping the vast majority of the way. We spoke with many investors along the way and lost count of all the passes we received. Fortunately, you only need 1 yes. The biggest challenge was finding the right investors who believed in what we were trying to accomplish. Our investors appreciated the problem we were trying to solve, having experienced them firsthand themselves, frustration with today’s current oral care products. For both Goby and our investors, we experienced a pain point / frustration, and felt there must be a better way. Now that we’ve launched, we’re hyper focused on delivering on our promise to our customers. We want to make sure all of our customers are happy. We think growth and retention will directly correlate with our customer’s satisfaction. Happy customers drive word of mouth and consequently, growth. Happy customers result in lower levels of churn, higher retention. Keep moving forward. Money is great, but progress is even better. As long as you keep progressing, investors will eventually show up. We have some new products and partnerships in the works. We’ll be rolling them out over the next couple of months. Some exciting plans for the upcoming holiday season. We’ve also received a lot of demand internationally so that’s definitely an opportunity we plan on exploring. Elizabeth Street Garden. It’s a couple of blocks from my apartment. I like helping out at the garden. It’s my little escape in the city.